As winter looms closer and closer, we know that the snow is soon to follow and with that, the start of the snow plowing season. If you are a commercial property owner that relies on the public coming and going from your facility on a daily basis then you already know the challenges winter can bring to your business and accumulating snow is the primary culprit. Snow removal services are a booming industry in our part of Canada for many months of the year. There are many companies providing snow removal services, so how do you know the company you’ve hired is going to be able to show up when they snow begins to fall? Will they be able to stay on top of your snow problems and keep your parking lots clear and safe? Do they have experience? Do they have the equipment? More importantly what about insurance? 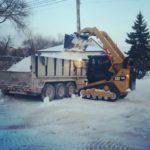 If you’re looking to hire out snow plowing and snow removal services for your commercial property in Winnipeg this article will help you. Maybe you’ve just taken over a property and need to get on your winter maintenance? Or maybe you’re just looking for a different company this year in the hopes of better, more reliable service? It’s a tough decision, for any company to make, especially when you’re betting against an unpredictable mother nature! 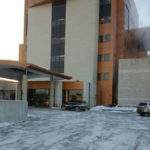 Here are a few things to think about when looking for snow removal services for your commercial property. Snow removal is a significant annual cost for any commercial property in our area so shopping for the best deal is at the top of every property owners mind. Don’t be afraid to get multiple quotes for snow removal but remember when comparing them that you should be comparing apples to apples. Do they use the same equipment? Do they offer the same or better response times? Do they have a good reputation? There are obvious reasons one company might charge more or less than another, just don’t be lured by the cheapest snow removal company you can find, they might not be the most reliable, let alone the best. Every parking lot or commercial property is different. They are different shapes with different layouts so it’s important your contractor come out and take a look at the area in question before giving an accurate estimate. You might not need as much maintenance as another client or maybe you’ll need more. Your property might have geographic issues we need to contend with such as small hills, steep terrain, trees, landscaping and more. We won’t know until we’ve assessed the property and listed to how you’d like your snow removal service to be handled. What Type Of Equipment Are They Using On Your Property? There are a lot of companies running around with a truck mounted plow and a couple of guys with shovels but do you really think they can stay on top of your snow removal needs as a commercial customer? Those are exactly the type of snow removal companies that can leave a business owner in a bind in a hurry. Don’t be one of them! Make sure the snow removal company you plan to hire has or has immediate access to the equipment needed to efficiently handle and remove the snow from your property. This equipment could include trucks, plows, bobcats (skidsteers) and dumping trailers for hauling the snow away. Having your snow removal contractor show up a few days after the snow falls probably isn’t going to be much help if you operate a business. 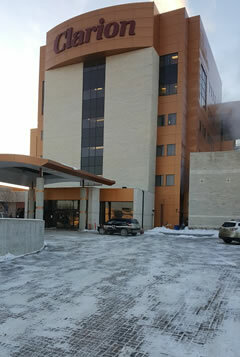 Your parking lots need to be cleared quickly in most cases and often during periods of heavy snow fall. While it’s a little ridiculous to assume any snow removal company is going to drop what they are doing and come to your property immediately when you need them, it’s not unreasonable to expect them to show up within 12-24 hours depending on weather and circumstances. The best service will go to the commercial clients who’ve planned ahead for the season and contracted with their chosen snow removal contractor early. Are Their Employees Experienced and Safe? Working with heavy equipment like skidsteers and dump trailers and even power equipment such as blowers can be dangerous work, even moreso when we are operating around the general public. You want to make sure the company you hire for snow removal is using responsible, trained employees. When working in public spaces, no matter the time of day, we need to be constantly alert and our spacial awareness must be on point. The last thing you want is a repair bill or even a lawsuit brought about by an irresponsible contractor you’ve hired. Do You Need Ice Management Services? Snow removal is just one aspect of property maintenance in the winter time but it’s the ice that is the most dangerous. If your parking lot or sidewalks are prone to ice accumulation then it’s a separate issue that needs to be addressed and priced into your snow removal contractor. Ice can be handled in a variety of ways from salting and sanding to chemical applications, there is an ice management option that will work for your budget, just make sure you’ve negotiated it into your snow removal agreement. This is an important question to ask up-front so you don’t just make assumptions about a companies pricing. Do you pay up-front? On a monthly retainer? By the inch? By the hour? Are the rates going to change part way through the season. These are all questions you should be asking. The actual cost for your snow removal will depend on the size of your property and your specific needs. It will also depend on what equipment is used/needed for your project too. This really depends on the size and shape of your property. If your parking lot is never filled to capacity then maybe you have an area set aside for accumulated snow to be piled up? If so, you can save yourself some money by not having to hire out the removal of the snow. Some property owners just don’t have the available space so any accumulated snow must be cleared and then hauled away for disposal somewhere else. 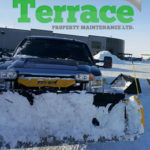 Why Choose Terrace Snow Removal For Commercial Snow Removal in Winnipeg? 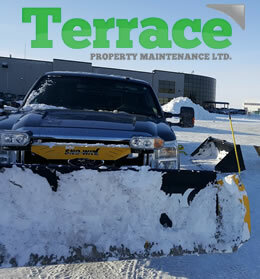 When you choose Terrace Snow Removal for your snow handling needs you are partnering with a local snow removal company with the equipment and infrastructure to handle the needs of commercial property owners. 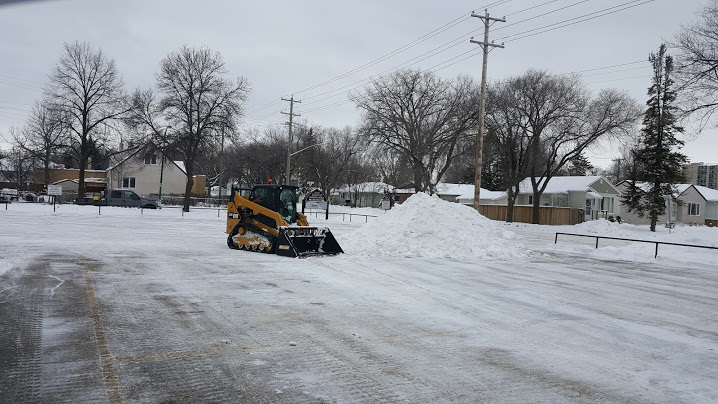 Our snow removal crews operate 24/7 during the winter season (November to February) and we have a variety of equipment at our disposal to quickly plow and remove the snow from your property.